NOW AVAILABLE! 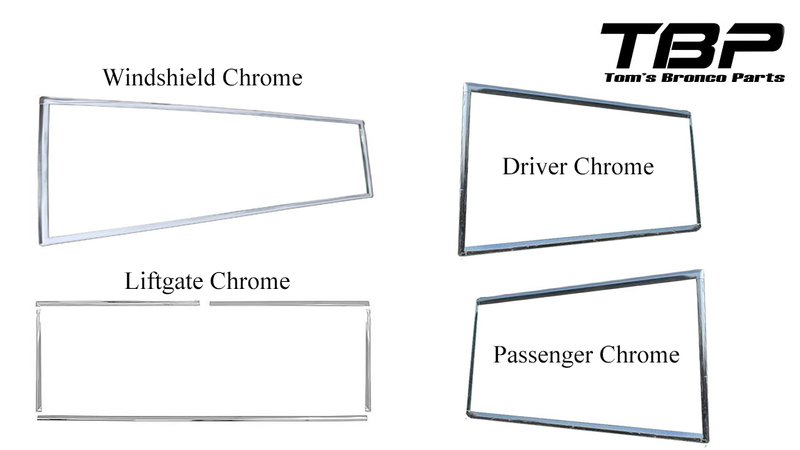 New FULL SET of Hard Top Window & Windshield Chrome Trim for your 66-77 Ford Bronco. This trim is a bright anodized aluminum trim just like the factory original. Requires SLOTTED window gasket for installation.